Doyle is confused for someone named Mark Healy, which he says happens all the time. Mark Healy is from the television series Roseanne. 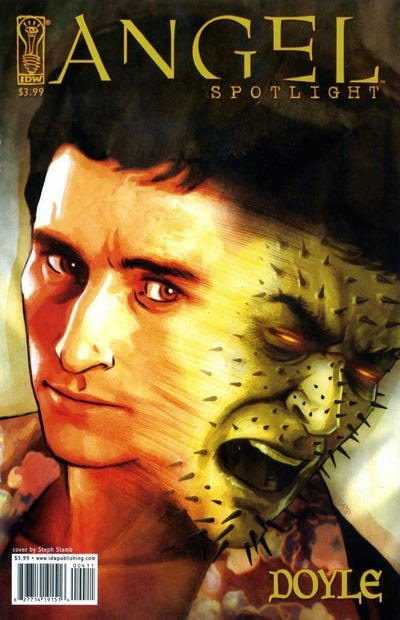 Healy was played by Glenn Quinn, who also played Doyle on Angel. This crossover brings Roseanne into the CU, and by extension The Jackie Thomas Show. The final episode of Roseanne implied that the entire series was actually a story written by Roseanne Conner that told a greatly distorted account of her life. Obviously, this should be disregarded for the purposes of incorporating Roseanne into the CU.